SSC Result 2019 All Education Board Result BD: Education Board of Bangladesh is the controller of all Bangladesh Education Board. There are nine regional Education Board and two are the alternative Boards are available in Our Country. Every year, a lot of students are participating in JSC, SSC and HSC Examination. How Many Education Board of Bangladesh? How To Calculate GPA in Our Academic Syllabus? When SSC Result 2019 publish date and Time for All Education Board Result BD? How To Get Your HSC SSC and JSC Result Very Fast? How to get SSC Result 2019 by SMS on Mobile? JSC Examination upgrades a student to admit on class nine. SSC Exam is also upgrading a student to permit going on an intermediate level. If any student failed to complete their studies, they can’t admit on the next level. So, SSC Exam is one of the part of life which helps you to achieve a permission to join the next level (Intermediate Level). 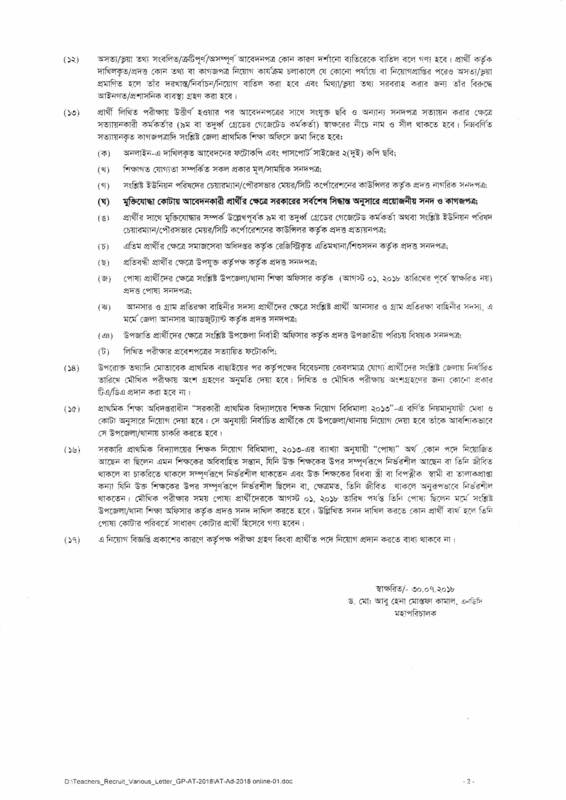 Education Board of Bangladesh manage the terms and conditions of the SSC Examination. Here you can know everything about the SSC Examination. We know that SSC examination is the key part of Student Life. Now, most of the student know this topic that SSC exam result helps you to enter their University life. SSC Result is the most important because a huge number of University is Bangladesh want the SSC Result. So, If you are the applicant of SSC Examination 2019, you should bear in mind that information. To participate in the University Admission Test, you must have a minimum GPA. Without universities requirement GPA, a student can’t apply on their Admission Program. Did you know how many Education of Bangladesh? If your answer is no so here you can know everything about the Education Board of Bangladesh. There are two types of Education Board of Bangladesh. One is the Regional Education Board and another one is alternative Education Board. The government can change it anytime. To determine the results of public examinations, matching the existing grades with the previous classes or divisions according to obtained marks. Education Board of Bangladesh publishes their JSC Result, SSC Result and HSC Result by Grading System. So, Many Students doesn’t know about the Education Board Grading System. GPA Mean Grade Point Average. We Know that the Secondary School Certificate (SSC) Examination is the largest public Examination in Bangladesh. From 2001, the Education Board of Bangladesh announces/introduce us about the Grading point system which called GPA. GPA means Grade Point Average. There are many students and guardian confused about Grading System. Here you can know how to calculate GPA in Our academic syllabus. If you want to achieve a clear understanding about Grade Point Average, you must see a sample of Grade Point Average. Let us consider, there is nine subject in the Exam include with the optional subject. According to the Average Grade Point making process, the total compulsory subject obtains GPA will divide by 8. Here mention that optional subject did not count as the total subject. Because there are rules where if any student get above GPA 5 point in the optional subject. then this GPA will be added of the total GPA of the total subject. So, Here you can see an example for you about a students Grade Point in the Examination. The Example generated based on a science students subject. Do you know when SSC Result 2019 will publish? Here you can see your SSC Result 2019 for all Education Board of Bangladesh. Generally, the SSC Exam Result will be published on 60 days after the SSC Examination has been ended. The previous year, the SSC Result 2018 had published on 6th may 2018. We know that the Secondary and Higher Secondary Examination date & time, Form Fill Up Notice and Routine will be published at a different time. All of the important dates generally fixed by the Education Ministry of Bangladesh. When the SSC Examination will be published than a student can check their result from Education ministry Official Website www.educationboardresults.gov.bd and eboardresults.com. However, if you are searching for Secondary School Certificate (SSC) Exam Result on Google, then you will get a lot of website on the search page about Bangladesh SSC Result. In this articles, we will discuss all information about SSC Examination like Examination date & time, Form Fill Up Notice and Routine, result publish date, result publish time etc. How To Get Your HSC SSC and JSC Result Very Fast? Do you know about this method? If you don’t know how to get your HSC, SSC, JSC Result very quickly. Don’t worry. If you want to get your HSC, SSC, JSC Result very quickly, you should need to read this article very carefully and follow our instruction. When HSC Result, SSC Result, and JSC Result has been published then Education Board Official website is going to very busy. The official website URL is www.educationboardresults.gov.bd. This is the official website link where HSC Result, SSC Result, and JSC Result will publish. This is the Official link for getting your own HSC Result, SSC Result, and JSC Result very fast. So, check your own result following the given instruction. There are many student and guardian who are searching “SSC Result 2019 by SMS” on through your Mobile phone. You can get your SSC Result 2019 through Mobile SMS easily and fast. When the SSC Exam Result 2019 will be published at that time the internet services are too busy. As a result, you can face many problems to know your SSC Exam Result 2019 BD. So, We are coming to fix this problem. We know that all Bangladeshi Government Result managed by teletalk mobile operators. I recommended you if you want to get your SSC Result very fast you must send an SMS through your mobile phone. I recommended you, you must use teletalk mobile operator. Generally, all mobile operator of Bangladesh sends an SMS before two days ago when SSC Result will be published. If you want to get your SSC Result 2019 through the mobile phone, you must use given below SMS syntax which help you to get your SSC Result very fast. There are many student and guardian who are searching about this topic. But they do not find any link which help him to find SSC Result Marksheet. So, this is the right place for them who are searching this topic. Here you can easily find your SSC Result BD with Marksheet. Also you can find your Dakhil Result with Marksheet and Vocational Result With Marksheet Also. This link is very important for him who are searching about this topic and who want to know their Result BD with Marksheet. SSC Result 2019 Marksheet is very important to know because its helps you to know your Result with marks or what grading you’re got. Then Marksheet will help you to find your GPA. The Secondary School Certificate (SSC), Dakhil and Equivalent Examination Result 2019 under 10 education Board will be published their Result BD following links. Education Board of Bangladesh divided by two type Regional Education Board of Bangladesh and alternative Education Board. All Education Board SSC Result 2019 will be published at the same day and same time. Here you can see your appropriate answer SSC Result 2019 Marksheet. By using given below links, you can easily find your SSC Exam Result 2019. The Barisal Education Board SSC Exam Result 2019 are responsible for any kind of Form Fill up notice and Marksheet publish and others academic issues. The Education Board of Barisal (BISE) is an autonomous organization mainly responsible for publishing the JSC, SSC and HSC Exam Result. The Chittagong Education Board SSC Exam Result 2019 are responsible for any kind of Form Fill up notice and Marksheet publish and others academic issues. The Education Board of Chittagong (BISE) is an autonomous organization mainly responsible for publishing the JSC, SSC and HSC Exam Result. In 1995, Education Board of Chittagong was started its operation. It is the public organization which are responsible for three important public examination such as Junior School Certificate (JSC) Examination, Secondary School Certificate (SSC) Examination, and Higher Secondary Certificate (HSC) Examination of Chittagong division in Bangladesh. In 1995, Education Board of Comilla was started its operation. It is the public organization which are responsible for three important public examination such as Junior School Certificate (JSC) Examination, Secondary School Certificate (SSC) Examination, and Higher Secondary Certificate (HSC) Examination of Comilla division in Bangladesh. The Comilla Education Board SSC Exam Result 2019 are responsible for any kind of Form Fill up notice and Marksheet publish and others academic issues. The Education Board of Comilla (BISE) is an autonomous organization mainly responsible for publishing the JSC, SSC and HSC Exam Result. The Dhaka Education Board SSC Exam Result 2019 are responsible for any kind of Form Fill up notice and Marksheet publish and others academic issues. In 19921, Education Board of Dhaka was started its operation. It is the public organization which are responsible for three important public examination such as Junior School Certificate (JSC) Examination, Secondary School Certificate (SSC) Examination, and Higher Secondary Certificate (HSC) Examination of Chittagong Dhaka in Bangladesh. The Education Board of Dhaka (BISE) is an autonomous organization mainly responsible for publishing the JSC, SSC and HSC Exam Result. The Board of Secondary Education, Dinajpur it was also referred as BISE which started its operation in 2006. Before this education board was within Rajshahi Education Board. The Dinajpur Education Board SSC Exam Result 2019 are responsible for any kind of Form Fill up notice and Marksheet publish and others academic issues. The Education Board of Dinajpur (BISE) is an autonomous organization mainly responsible for publishing the JSC, SSC and HSC Exam Result. The Board of Secondary Education, Jessore it was also referred as BISE which started its operation in 1963. The Jessore Education Board SSC Exam Result 2019 are responsible for any kind of Form Fill up notice and Marksheet publish and others academic issues. The Education Board of Jessore (BISE) is an autonomous organization mainly responsible for publishing the JSC, SSC and HSC Exam Result. The Rajshahi Education Board SSC Exam Result 2019 are responsible for any kind of Form Fill up notice and Marksheet publish and others academic issues. In 1961, Education Board of Rajshahi was started its operation. It is the public organization which are responsible for three important public examination such as Junior School Certificate (JSC) Examination, Secondary School Certificate (SSC) Examination, and Higher Secondary Certificate (HSC) Examination of Rajshahi in Bangladesh. The Education Board of Rajshahi (BISE) is an autonomous organization mainly responsible for publishing the JSC, SSC and HSC Exam Result. The Board of Secondary Education, Sylhet is an independent organization, which is responsible responsible for publishing the JSC, SSC and HSC Exam Result. In 1961, Education Board of Sylhet was started its operation. It is the public organization which are responsible for three important public examination such as Junior School Certificate (JSC) Examination, Secondary School Certificate (SSC) Examination, and Higher Secondary Certificate (HSC) Examination of Sylhet in Bangladesh. In 1780, Madrasha Education Board was established by British government and formed Madrasah education Board of Bengal. In 1961, Education Board of Madrasha was started its operation. It is the public organization which are responsible for three important public examination such as Secondary School Certificate (SSC) Examination, and Higher Secondary Certificate (HSC) Examination of Madrasha in Bangladesh. In 1969, Education Board of Vocational was started its operation. It is the public organization which are responsible for three important public examination such as Secondary School Certificate (SSC) Examination, and Higher Secondary Certificate (HSC) Examination of Vocational in Bangladesh. The BTEB organize, supervise, regulate, control and develop technical education and SSC vocational Exam result 2019. Total 6,826 students out of 1,651,523 were absent on the first day of SSC and its equivalent examinations. On the day, the SSC examinations started on Bangla First paper. A total of 847 students in Dhaka Board, 421 in Rajshahi Board, 510 in Comilla Board, 423 in Jessore Board, 279 in Chittagong Board, 252 in Sylhet Board, 250 in Barisal Board and 306 in Dinajpur Board were absent. Bangladesh SSC Result 2019 for All Education Board will be publish as soon as possible. If you need any more information then comment below or message us through facebook. We will reply as soon as possible. HSC Exam Result 2019 All Education Board of Bangladesh: HSC Exam Result 2019 All Education Board of Bangladesh has been published by the authority of Bangladesh Education Board. Dear Student HSC Result Publish date has been published through the education ministry. There are all HSC student know about the meaning of HSC which means the Higher Secondary Certificate. Those student who want to know the HSC Exam Result 2019, you can check your HSC Result 2019 from our website. The HSC Result 2019 is controlled by the education ministry of the directorate of Secondary Education Board of Bangladesh. The HSC Result 2019 has been published through Education Board Results GOV BD who responsible for all Education Board Result of Bangladesh. Dinajpur Education Board HSC Result Number MarkSheet 2018: According to the Ministry of Education Board, minimum 1.2 million students participate in the HSC examination 2019. Dinajpur Education Board HSC Result Number MarkSheet 2019. Minimum 8,533 educational institutions organized this examination. Minimum 1.2 million Student participates in the HSC Examination 2018 under the 8,533 education organization Dinajpur Education Board HSC Result Number MarkSheet 2019. Dinajpur Education Board HSC Result Number MarkSheet 2019: The Higher Secondary Certificate and equivalent examination were taken to 2,452 exam centers in Bangladesh. Dinajpur Education Board HSC Result Number MarkSheet 2019 will be available on their official website. If you don’t find out their official website link, don’t worry I will be given to you the official link to Dinajpur Education Board HSC Result Number MarkSheet 2019. Dhaka Education Board Result has been published by Dhaka Board. HSC Exam Result 2019 All Education Board of Bangladesh: In this year Higher Secondary certificate that means HSC was started on 3rd April 2019 on Sunday. According to the student of Bangladesh, HSC examination question quality is very hard. For this reason, the HSC student of Bangladesh cannot get their expected result. HSC Result 2019 / HSC Exam Result 2019 All Education Board Result: According to the Ministry of Education Board, minimum 1.2 million students participate in the HSC examination 2019. Barisal Education Board HSC Result Number MarkSheet 2019. Minimum 8,533 educational institutions organized this examination. HSC Result 2019 / HSC Exam Result 2019 All Education Board Result: In this year Higher Secondary certificate that means HSC was started on 3rd April 2019 on Sunday. According to the student of Bangladesh, HSC examination question quality is very hard. For this reason, the HSC student of Bangladesh cannot get their expected result. HSC Result 2019 / HSC Exam Result 2018 All Education Board Result: According to the Ministry of Education Board, minimum 1.2 million students participate in the HSC examination 2019. Comilla Education Board HSC Result Number MarkSheet 2019. Minimum 8,533 educational institutions organized this examination. HSC Result 2019 / HSC Exam Result 2019 All Education Board Result: According to the Ministry of Education Board, minimum 1.2 million students participate in the HSC examination 2019. HSC Result Publish Education Board Bangladesh 2019. Minimum 8,533 educational institutions organized this examination. HSC Result 2019 / HSC Exam Result 2019 All Education Board Result: According to the Ministry of Education Board, minimum 1.2 million students participate in the HSC examination 2019. HSC Result 2019 / HSC Exam Result 2019 All Education Board Result. Minimum 8,533 educational institutions organized this examination. The Education Board Result GOV BD is the official website of Bangladesh Education Board. This website control the all information about all student mark sheet and others information which are related about academic. When the HSC Result 2019 / HSC Exam Result 2019 publish? In this year HSC Exam 2019, 13 lakh 11 thousand 457 examiners participate in the HSC and equivalent examinations under 10 education boards across the country. HSC Result Publish Education Board Bangladesh 2019. The Higher Secondary Certificate HSC and equivalent exams have started in 2,452 centres in Bangladesh. The HSC Result 2019 / HSC Exam Result 2019 will be published on 19 July 2019. If you and your guardians are worried to know about HSC exam result 2018, this is the right place to know when HSC Result 2019 will be published. Some few days ago Publish HSC Routine 2019. I hope the HSC Exam Result 2019 will be published 19 July 2019. HSC Result Publish Education Board Bangladesh 2019: On April 2, the HSC Examination begins and ends on May 13. On May 14, the practical test began and ended on 23 May. There a a lot person know that the Education Board result are being published in 58 days. How many Students participated in HSC Exam 2019? HSC Result Publish Education Board Bangladesh 2019. According to the authority of Education Board, we expect that the HSC Result 2019 will be published on the 3rd July 2019. But it is listening to the HSC Exam Result 2019 under Education Board Bangladesh will be published 19th July 2019. HSC Exam Result 2018 will be published in 19th July 2019. Here you will get all update information about HSC Exam Result 2018 through our website. How to get HSC Exam Result 2019 by mobile SMS? The candidate of the Secondary School Certificate SSC examination when passed the SSC Examination. HSC Result 2019 / HSC Exam Result 2019 All Education Board Result The students have the option of joining a college for a two-year higher secondary education in their respective areas of specialization, or enrolling in technical or poly technical institutes. HSC Result 2019 / HSC Exam Result 2019 All Education Board Result. By reading the two-year higher secondary education, one has to sit for another public examination called Higher Secondary Certificate HSC Examination. Every year, HSC Exam starts from April in Bangladesh. The Higher Secondary Certificate HSC and equivalent examinations was started in April 2, 2019. In this examination 13 lakh 11 thousand 457 candidates was participated. HSC Result Publish Education Board Bangladesh 2019. HSC Result Publish Education Board Bangladesh 2019. Of the boys, 6 lakh 92 thousand 730 people and the number of girls is 6 lakh 18 thousand 727. Education Minister Nurul Islam Nahid said that total centers were 2,541, 8 thousand 943 educational institutions. The HSC Exam 2019 was started on April 2 and end on 13 May. HSC Result Publish Education Board Bangladesh 2019. Apart from this, the total number of candidates in the 7 foreign centers is 299. This year, 1 lakh 27 thousand 771 examiners have increased in comparison to this year. Growth rate is 10.98 percent. HSC Result Publish Education Board Bangladesh 2019. More than one question set will be provided at each center. Instructions to stop the coaching centers, he said, the instructions will continue until the end of the HSC examinations. Law enforcement agencies will oversee the matter. HSC Result Publish Education Board Bangladesh 2019 has been published by the authority of Education Board of Bangladesh. 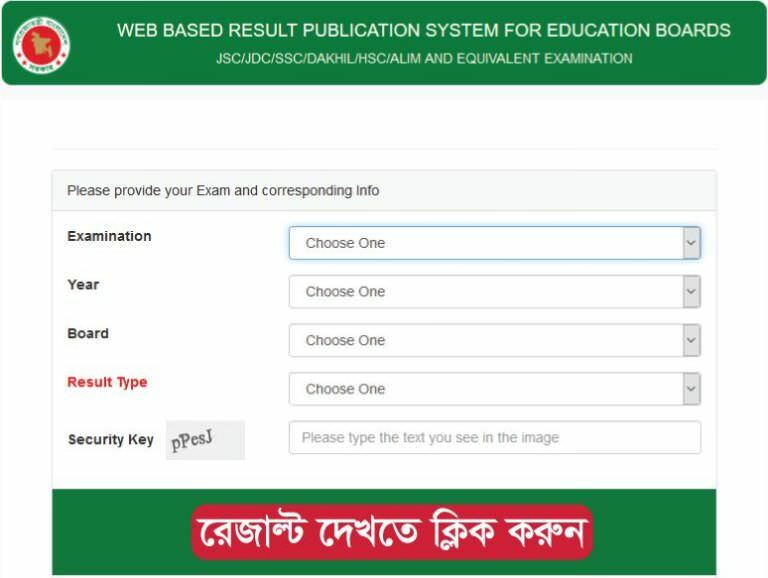 All Bangladesh Education Board HSC Result 2019 has been published through eboardresults.com. The authority of Education Board said that the HSC Result 2019 will be published at July 19, 2019. HSC exam result 2019 will be published on 19th July 2019 by www.educationboardresults.gov.bd. It also publish on eboardresults.com. In general, the Education Board made rules that all Public Board Exam Results in Bangladesh should be published after the 90 days of the exam or the 60 days after completing last writing exam. You may already know that, the HSC Exam 2019 started on 2nd April 2019 and completed on 15th May 2019. To Get University Admission Test, Govt Job circular, Result, Education Board Result, Bank Job Circular, Scholarship, SSC Result, HSC Result, Admission test 2019. If you have any question about Education Board, you can connect us through comment section. Education Board HSC Result Number MarkSheet 2019. If you have any doubt and question about Education Board Result, you can connect us on Facebook Page. National University Honours 4th Year Result 2019 NU.EDU.BD: National University Honours 4th Year Result 2019 NU.EDU.BD has published by the National University. NU Honours 4th Year Result 2019 NU.EDU.BD will be published on within September 2019. National University Honours 4th Year Exam would start from 5th March 2019 and end at 22nd April 2019. The National University Authority has said that Honours 4th year result 2019 will be available within three (3) month after completing exam. The National University Result controller said that Honours 4th year result 2019 of the academic year 2019 and session 2014-15 publish on 2nd week of Septmber 2019. According to the National University 1 lakh 35 thousands students attend in the Honours 4th year examination in this year. For the academic session 2019 examination was held in 140 canters at 205 colleges over the country. So, In this year National University Result Publish authority will publish their Honours 4th year result 2019 as soon as possible. Nationa University NU Honours 4th Year Result 2019 [Session 2014-15] publishing date does not fixed yet. Generally, National University will take minimum 3 month to publish any exam result of Honours or Masters level. So, The National University NU Result Publish authority get ready to publish National University NU Honours 4th Year Result 2019. Now, the students of National University Honours 4th Year are impatiently waiting for their National University Honours 4th Year Final Result 2019. National University NU Honours 4th Year Result 2019 NU EDU BD: If you want to know more information about National University NU Honours 4th Year Result 2019 NU EDU BD which will be published on the first week of September, 2019. National University NU Honours 4th Year Result 2019 NU EDU BD: National University NU Honours 4th Year Result 2019 NU EDU BD has been published by the authority of National University. National University NU Honours 4th Year Result 2019 NU EDU BD: National University Honours 4th Year Result 2019 NU EDU BD has been published by the authority of Bangladesh National University. If you want to apply for yourself, you should need to apply for National University NU Honours 4th Year Result 2019 NU EDU BD. National University Honours 4th Year Result 2019 NU EDU BD Registration & Admission Circular 2019 has published recently. Applicants can select subject that completed in Honours session. National University NU Honours 4th Year Result 2019 NU EDU BD. Here you can download National University NU Honours 4th Year Result 2019 NU EDU BD which are available our website. When Honours 4th Year Result will publish? Bangladesh National University Honours 4th Year Result 2019 NU EDU BD has been published on February 2019 at 4.00 pm. It was published on National University Official Results Site is www.nu.edu.bd/results or www.nubd.info. To get Final Year Exam Result, you need to visit National University Official website. After going to the National University Official website, you should need to put your “Roll Number” or “Registration Number” in the below box and select the exam year. Then, you need to press on the submit button. After click on the submit button a new result page will pop up. National University Honours 4th Year Exam Result has been published by the official website NU results. Their official website URL is www.nu.edu.bd. How to get National University 4th Year Result? You can get your National University 4th Year Result in two method. First method is SMS method. Every Student can get their Honours Fourth Year Result from online through their mobile Phone. To get Honours Fourth Year Result you should need to open the Message software. And then click on the Write Message Button. National University 4th Year Result has been published at 5:00 pm on Result released time and another way is online via web from 7:30 pm. If you want to get your National University 4th Year Result, you should need to click on given below link. National University Honours 4th year final exam 2019 BA, BSS, BBS and BSc honors fourth or final year exam for session 2018-2019 was held in April 2018. National University Honours 4th year final exam 2018 students of all affiliated college of National University was appeared to the final exam of fourth years Honours. Now candidates are waiting for the result publishing. How to Get National University NU Honours 4th Year Result 2019 by SMS? To get National University NU Honours 4th Year Result 2019 by SMS, you should need to follow our given instruction. After going to the Write message section type NU <space> H4 <space> Roll Number and send it 16222. NU <SPACE> H4 <SPACE> ROLL NUMBER AND SEND IT 16222. National University NU Honours 4th Year Result 2019 NU EDU BD: National University NU Honours 4th Year Result 2019 NU EDU BD has been published by the authority of Bangladesh National University. If you want to apply for yourself, you should need to apply for National University NU Honours 4th Year Result 2019 NU EDU BD. If you want to complete your graduation study, you should need to pass National University Honours 4th Year Result 2019. Here you can see all National University Notice, Circular, Admission Result, and Different kind of years result. National University Honours 4th Year Result 2019 NU EDU BD has been published through our official website. If you want to Check and Download Your National University Honours 4th Year Result 2019 NU EDU BD, you need to follow our showing instruction which we are provided. To Get University Admission Test, Govt Job circular, Result, Education Board Result, Bank Job Circular, Scholarship, SSC Result, HSC Result, Admission test 2019. If you have any question about Education Board, you can connect us through comment section. HSC Result Publish Education Board Bangladesh 2019. National University Honours 4th Year Result 2019 NU EDU BD. If you have any doubt and question about Education Board Result, you can connect us on Facebook Page. JSC Result 2019 All Education Board Result Bangladesh: Junior School Certificate JSC result 2018 will be published on December, 2019. At the same day, Junior Dakhil JDC result will also be published. We know that Bangladesh Education Ministry control all kind of academic routine and result. Here you get your own result. Keep in mind our Website link or Save your bookmark section in your computer web browser option. Nurul Islam Nahid who is the Education Minister of Bangladesh. He says that JSC exam result or equivalent Exam Result 2019 will publish as soon as possible. At the time of morning 10.00 AM education board handover the JSC, JDC examination result to the prime minister of Bangladesh. And then, the full result will also be published at 2.00 pm. On the day of December, 2019, JSC and JDC student can get their result at their official website. The JSC and JSC and others exam publish at 2.00 pm. For this reason after handover the JSC and JDC result to the prime minister, the JSC and JDC result 2019 will be published at 2.00pm. You can get all JSC and JDC result on their official website. The official website link of Bangladesh Education board is educationboardresults.gov.bd. In this website, you can get your own result very fast and quickly than others unofficial website. Junior School, Dakhil, and equivalent examination started on November 1, 2019. And the Junior School, Dakhil, and equivalent examination finished on November 18, 2019. In this year, minimum 10 lakh student participated in the JSC, Dakhil and equivalent examination. There are many students who are hoping to get their JSC, JDC and equivalent examination after finishing their examination. For this sense, Nurul Islam Nahid is announced that the JSC Result 2019 will be published in the last week of the December 2019. If you want to see your own examination result you must need to click on the following link. The Board of Intermediate and Secondary Education, Dhaka, is an autonomous organization and responsible for holding public examinations. Dhaka Education Board may be published their academic result such as JSC Result, SSC Result and HSC Result. The Board office is located at Bakshibazar, Dhaka. This is the only one place where you can find your JSC Result, SSC Result and HSC Result so on. If you want to get your JSC Result, you must the link which i given in the previous paragraph. How to Check your own JDC, JSC Result 2018 in online? On December 31, 2018, JSC Result 2018 will be available on the internet at 2.00pm. After publishing the JSC, JDC and equivalent result 2018 by the Education Board of Bangladesh, you can see the whole result on the official website. To get JSC Result 2018 sending SMS from your own mobile or smartphone, you should need to follow given below instruction. At first, you should need to write first JSC and then three letter of your own board and then press space button and then write Roll number and the passing year. After writing the given information send to 16222 number. and then your result see own your mobile. If you want to get regular job news and any kind of result please like on our Facebook Fan Page, you can get them regular and all-time. Our Facebook Facepage is Education Info. HSC result 2019 published date, HSC result 2018 date, HSC result 2019 Dhaka board, HSC result 2019 bd, HSC result 2019 Comilla board, Board HSC result 2019 Sylhet board, HSC result 2019 Barisal board, HSC result 2019 Rajshahi board, HSC result 2019 Bangladeshm, HSC result 2019 with number, HSC result 2019 by sms, HSC result 2019 jessore board, HSC result 2019 dinajpur board, HSC result 2019 marksheet, HSC result 2019 chittagong board, HSC result 2019 ctg board and a lot question includes your mind. HSC Result 2018 Higher Secondary School Certificate 2019: HSC Result 2019 publishing date will be held in August 2019. According to the education of Bangladesh, it will be published in the starting month of August 2019. In this year Higher Secondary certificate that means HSC was started on 3rd April 2019 on Sunday. HSC Result 2019 Higher Secondary School Certificate 2019: According to the student of Bangladesh, HSC examination question quality is very hard. For this reason, the HSC student of Bangladesh cannot get their expected result. HSC Result 2019 Higher Secondary School Certificate 2019: According to the Ministry of Education Board, minimum of 1.2 million students participate in the HSC examination 2019. Minimum 8,533 educational institutions organized this examination. 1.2 million Student participates in the HSC Examination of 2019 under the 8,533 education organization. HSC Result 2019 Higher Secondary School Certificate 2019: The Higher Secondary Certificate and equivalent examination were taken 2,452 exam centers in Bangladesh. HSC Result 2019 will be available on their official website. If you don’t find out their official website link, don’t worry I will be given to you the official link to HSC Result 2019. HSC Result 2019 Higher Secondary School Certificate 2019: On the other hand, you will be gotten all information from this website www.sikhun.com. The official website link is www.educationboardresults.gov.bd. You can directly access their official website and also you can get your own HSC result 2019 from www.sikhun.com. When the HSC Result 2019/ HSC Exam Result 2019 publish? In this year HSC Exam 2019, 13 lakh 11 thousand 457 examiners participate in the HSC and equivalent examinations under 10 education boards across the country. HSC Result Publish Education Board Bangladesh 2019. The Higher Secondary Certificate HSC and equivalent exams have started in 2,452 centers in Bangladesh. The HSC Result 2019 / HSC Exam Result 2019 will be published on 19 July 2019. If you and your guardians are worried to know about HSC exam result 2019, this is the right place to know when HSC Result 2019 will be published. Some few days ago Publish HSC Routine 2019. I hope the HSC Exam Result 2019 will be published 19 July 2019. How many Students participated in the HSC Exam 2019? HSC Result 2019 Higher Secondary School Certificate 2019: In this year 6.54 lakh male and 5.65 lakh, female students participated in HSC exam 2018. HSC examination has taken under the seven Education Board of Bangladesh where 2,452 examination centers are taking this HSC exam 2019 in Bangladesh. The theoretical examination would end on June 9, 2019, but the practical examination will be held on June 11 to 20. The examination would start from 10.00 am to 1.00 pm. HSC Result 2019 Higher Secondary School Certificate 2019: Education Minister Mr. Nurul Islam Nahid has visited a different kind of center in Dhaka. To prevent a leak of question papers, the minister of education said that they have adopted all possible measures. Due to Bangladeshi politics party, Jamaat-e-Islam called a general Strick, the Higher Secondary Certificate and equivalent examination scheduled will be shut down. HSC Result 2019 Higher Secondary School Certificate 2019: The HSC examination result may be published on 2nd week of August 2019. You can get all latest information about the HSC result 2019 from our website. Please visit our website regularly!!!! 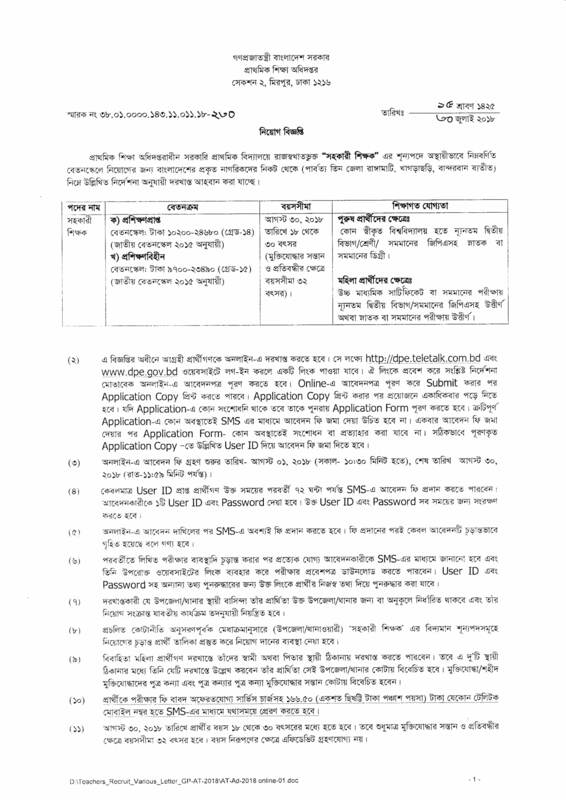 HSC Result Publish Date in Bangladesh. HSC Result 2019 declared in August 2019. The students of HSC and the equivalent candidate can get their HSC result 2019 through SMS. To get HSC Result 2019 and equivalent result by typing given below instruction on your mobile phone. JSC/SSC/HSC/ALIM <SPACE> 3 letter of your Own board <SPACE> ROLL Number <SPACE> Passing Year and then send to 16222. Example: For HSC Result 2019– HSC DIN 123456 2019 send to 16222. HSC Result 2019 Higher Secondary School Certificate 2019: After sending your SMS you can get an SMS in text from 16222. If you send this SMS before publishing the HSC result 2019. You can get the SMS just like this Result will be coming soon. In upper example ‘HSC’ is the examination name, ‘DIN’ is the 3 letter of Board, 123456 is the Roll number and 2019 is the passing year. General division Exam Result from 2019 Example: HSC DHA 123456 2019 and send to 16222. Madrasa Division Exam Result 2019 Example: ALIM MAD 521265 2019 and send to 16222. For Technical/ Vocational Exam Result 2019 Example: HSC TEC 717369 2019 send to 16222. HSC Exam Result Dhaka Education Board. HSC Result 2019 Higher Secondary School Certificate 2019: Dhaka board is the entire division of all public school of English medium schools, Madrasa, and vocational board. Dhaka is responsible for all administration public schools and controlling all information of Intermediate and Secondary Education. Dhaka is the capital of Bangladesh. For this reason, Dhaka Board is controlling and maintaining all information of HSC, SSC, JSC, and PSC also. If you want to find out the Dhaka Board Exam result 2019, you need to follow given instruction. HSC Result 2019 Higher Secondary School Certificate 2019: If you do not follow upper instruction, you cannot get your HSC result in 2019. So, fill the all information correctly. All Board Exam result same as Dhaka board. To Get University Admission Test, Govt Job circular, Result, Education Board Result, Bank Job Circular, Scholarship, SSC Result, HSC Result, Admission test 2019. If you have any question about the Education Board, you can connect us through the comment section. Education Board HSC Result Number MarkSheet 2019. If you have any doubt and question about Education Board Result, you can connect us on Facebook Page. National University NU Honours 4th Year Result 2018 NU EDU BD: National University NU Honours 4th Year Result 2018 NU EDU BD has been published by the authority of National University. National University NU Honours 4th Year Result 2018 NU EDU BD which is the best option to complete for NU Graduation. National University NU Honours 4th Year Result 2018 NU EDU BD: National University NU is the largest national university in Bangladesh. A lot student complete their graduation from National University NU. National University NU Honours 4th Year Result 2018 is the final stage exam result of Final year student. If you want to complete your graduation study, you should need to pass National University NU Honours 4th Year Result 2018. Here you can see all National University Notice, Circular, Admission Result, and Different kind of years result. National University NU Honours 4th Year Result 2018 NU EDU BD has been published through our official website [www.sikhun.com]. If you want to Check and Download Your National University NU Honours 4th Year Result 2018 NU EDU BD, you need to follow our showing instruction which we are provided. National University Honours 4th Year Result 2018 NU EDU BD has been published through their official website. Sikhun.COM publish NU Honours 1st Year Result, NU Honours 2nd Year Result, NU Honours 3rd Year Result, and final NU Honours 4th Year Result. The given link is the official website link of National University. National University NU Honours 4th Year Result 2018 NU EDU BD: If you want to know more information about National University NU Honours 4th Year Result 2018 NU EDU BD which will be published on the first week of August, 2018. National University NU Honours 4th Year Result 2018 NU EDU BD: National University NU Honours 4th Year Result 2018 NU EDU BD has been published by the authority of National University. National University NU Honours 4th Year Result 2018 NU EDU BD: National University Honours 4th Year Result 2018 NU EDU BD has been published by the authority of Bangladesh National University. If you want to apply for yourself, you should need to apply for National University NU Honours 4th Year Result 2018 NU EDU BD. National University Honours 4th Year Result 2018 NU EDU BD Registration & Admission Circular 2017 has published recently. Applicants can select subject that completed in Honours session. National University NU Honours 4th Year Result 2018 NU EDU BD. Here you can download National University NU Honours 4th Year Result 2018 NU EDU BD which are available our website. Bangladesh National University Honours 4th Year Result 2017 NU EDU BD has been published on February 2018 at 4.00 pm. It was published on National University Official Results Site is www.nu.edu.bd/results or www.nubd.info. To get Final Year Exam Result, you need to visit National University Official website. National University Honours 4th year final exam 2018 BA, BSS, BBS and BSc honors fourth or final year exam for session 2016-2017 was held in April 2017. National University Honours 4th year final exam 2016 students of all affiliated college of National University was appeared to the final exam of fourth years Honours. Now candidates are waiting for the result publishing. How to Get National University NU Honours 4th Year Result 2018 by SMS? To get National University NU Honours 4th Year Result 2018 by SMS, you should need to follow our given instruction. National University NU Honours 4th Year Result 2018 NU EDU BD: National University NU Honours 4th Year Result 2018 NU EDU BD has been published by the authority of Bangladesh National University. If you want to apply for yourself, you should need to apply for National University NU Honours 4th Year Result 2018 NU EDU BD. If you want to complete your graduation study, you should need to pass National University Honours 4th Year Result 2018. Here you can see all National University Notice, Circular, Admission Result, and Different kind of years result. National University Honours 4th Year Result 2018 NU EDU BD has been published through our official website. If you want to Check and Download Your National University Honours 4th Year Result 2018 NU EDU BD, you need to follow our showing instruction which we are provided.